A new poll from Gallup reveals that an increasing number of students believe that conservative speech is deterred on college campuses. 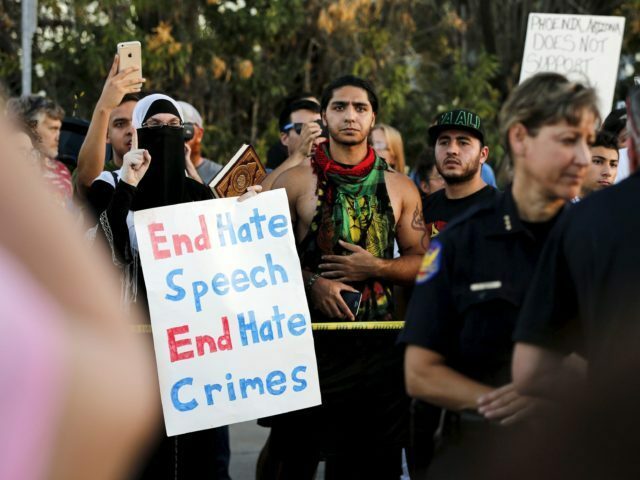 According to a recently published Gallup poll, an increasing number of both conservative and liberal students think that political speech is stifled on their college campus. An overwhelming 61 percent of students, compared to the 54 percent figure that was recorded the last time this poll was given, believe that campus climates prevent students from expressing themselves. In 2016, 78 percent of students favored an open campus environment that allowed all types of speech. Now, in 2018, that number is down to 70 percent. 29 percent of students now believe that offensive or biased speech should be banned, up from 22 percent in 2016. While more students now agree that their campus climate stifles free speech, fewer students now (70%) than in 2016 (78%) favor having an open campus environment that allows all types of speech, even that which is offensive. In contrast, 29% of students now, up from 22% in 2016, would rather campuses be “positive learning environments for all students” by prohibiting certain speech that is offensive or biased. The poll revealed that students feel that females are the freest to speak on college campuses. 94 percent of college students polled believe that women are free to express themselves on campus. Only 69 percent of all students polled believe that conservative students are free to express themselves on campus. This may be partially due to the recent emergence of female dominance in academia. In September 2017, Mark. J. Perry of the American Enterprise Institute highlighted the growing female-dominance in academia. As of 2018, women are the majority of medical school students, law school students, as well as candidates for bachelors and doctoral degrees. If America’s diversity worshipers see any female under-representation as a problem and possibly even as proof of gender discrimination, what do they propose should be done about female over-representation in higher education at every level and in 7 out of 11 graduate fields? After all, to be logically consistent, aren’t female over-representation and female under-representation simply different sides of gender injustice?